As much as I hate Kmart for the fungus gnat infestations, I do like the fact that they keep sending me free money to use. And so, with the proper precautions, I'll still buy houseplants from them. I was surprised to see a Dracena "Janet Craig" among the plants they were selling. Of all the Dracenas, this is the one that Dr. Wolverton identified as the best of the best in the dracaena fragrans family for clearing the air, and one of the best plants overall for removing trichloroethylene (TCH). 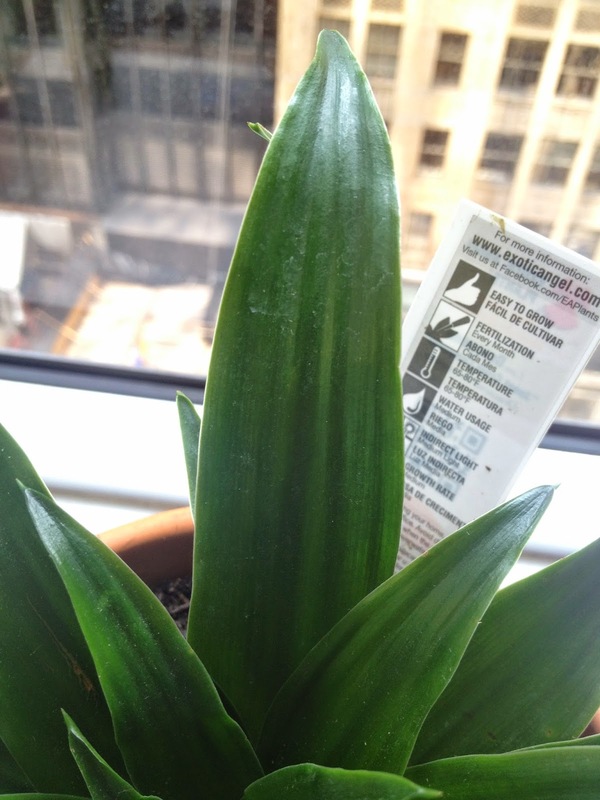 It made it to #13 of my edited list of best air-cleaning plants. The plant is beautiful, with shiny dark leaves that look much richer and fuller than its close relative the Warneckii (both are cultivars from Dracaena fragrans). There are varying opinions about its origin; some say it comes from Puerto Rico, while others say that it's from the Canary Islands, Africa, Asia, or Madagascar. It's said to be a very forgiving plant, able to tolerate neglect and low lighting conditions. This particular variety is the "comapacta", which reaches a height of only 1 to 3 feet and grows slower than the regular variety. 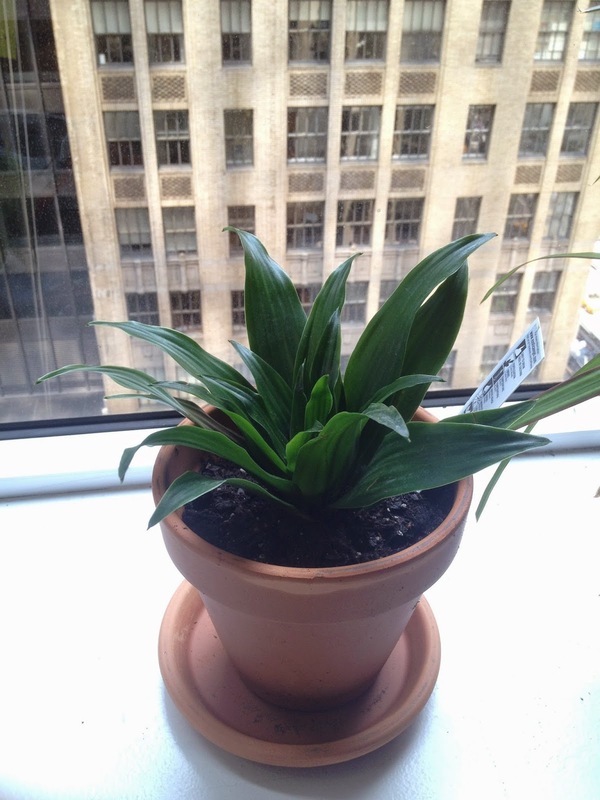 If you had to choose just one dracena variety for air purification, this is the one to get. Since they're really popular you can usually find them at places like Home Depot, or find one on eBay . The last question I have about this plant is--who exactly was Janet Craig? I dug and dug for this answer, but can't find it anywhere. What I did find was that this cultivar was patented on December 27, 1999 and that the inventor's name is James E. Shank, and the plant was discovered in 1995 in Costa Rica, growing on an ornamental plant farm. I didn't even realize that plant varieties could be patented, nor that it was just 16 years ago that this plant first came onto the market--and has since become one of the most popular houseplants around. "Her" full name according to the patent is "Janet Craig Gomezzi", but there's no indication of who this was; my guess is that it was just a personal friend of the inventor. But whoever she is or was, she'll live on forever now through the thousands of these houseplants scattered around the world--and in my office window. 1) Temperature: Keep between 60-80 degrees Fahrenheit. 2) Sunlight: It likes partial shade or shade. Medium indirect lighting is best. 3) Care and feeding: Keep soil evenly moist but not soggy, and don't let the root ball dry. Feed every two weeks in the spring and summer. Water less often in the winter and wipe off leaves when they get dustry.